Financial literacy grows over the course of one’s life. Learning these concepts earlier rather than later makes us better equipped to meet our life’s goals. Most Americans are not given the opportunity to learn important financial concepts. Both the education system and the parenting process have neglected to develop the appropriate financial skills needed to succeed in everyday life. Why don’t we teach financial literacy? Financial literacy refers to individuals making informed judgments and effective decisions about managing their money. 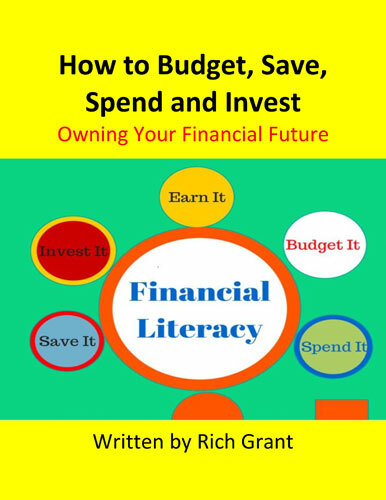 Financial illiteracy is a huge problem in the United States, affecting both individuals and businesses. A 2013 FINRA Investor Education Foundation Survey of approximately 25,000 adults found that 56% of adults do not have three months’ worth of expenses saved up in case of an emergency. In addition, 34% of the survey respondents make only the minimum credit card payment. FInally, 61% of adults could only answer three or fewer questions on a five-question quiz about financial literacy. 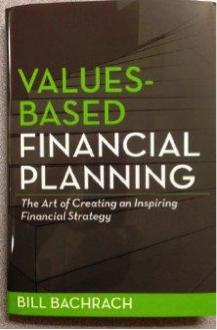 A 2015 survey indicated that 71% of people believe they are financially literate, and only 29% believe they are not. However, the financial literacy test tells us that the number of people who are not financially literate is much higher than 29%. This highlights the fact that people are not aware of their degree of financial literacy. In fact, people tend to overestimate their level of financial knowledge. How well do you understand personal finance? There are many excuses people use as to why they are not financially literate. They include: finance is boring, it is too complicated, it’s too late for me, I have plenty of time, and I’ll hire somebody to figure it out. You spend 1/3 of your life or approximately 90,000 hours working. You are working to make money to support yourself and your family. Spending a fraction of that time to become financially literate will ensure that you use your hard earned money wisely. 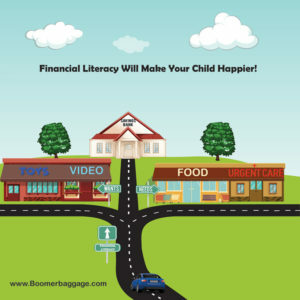 The journey to financial literacy should begin early in life. Since our education system does not adequately address money matters, parents should begin teaching their children at a young age. This is not just about learning financial concepts. Children and adults must continually use their financial literacy skills. These skills can be honed with continued use. Good financial choices don’t happen by accident. Each of us must develop important decision-making skills. Learning these skills happens over the various stages of our life as we learn and experience the details needed to become financially literate. The financial literacy skills learned during this time will prepare children for the rest of their lives. These teachings may in fact determine ultimately how happy and financially independent our children will be. The journey for children should begin as early as age 4. The initial concepts which must be learned include: what money looks like, how to count it, how and why we use money, how we earn it and the difference between needs and wants. The teachings about needs and wants can lead to conversations about goal setting and why saving is so important. The first job of an adolescent has many teachable moments. This is an opportunity to reinforce the importance of saving. It is critical to understand the difference between saving for something specific and investing for the longer term. At this time, learning how businesses are started, what stocks and bonds are, how they work and differences between them are important concepts. This is the right time to learn terms like par value, dividends, risk and return, interest rate, inflation and diversification. The practical aspects of getting paid include the difference between gross and net pay and where the difference goes. Now is the time to discuss different employment opportunities, the skills and education required and the difference in earnings potential. As an adolescent, buying a car can be a significant event. The purchaser must save for a down payment, understand the difference between lease and purchase, determine how credit works and experience the importance of comparison shopping. The ongoing insurance, maintenance and gas costs should also be understood. At this time, adolescents should explore the first of the big ticket items (college, home and retirement). The future student should understand the total cost of college, if it will be paid by saving or borrowing, and how financial aid (needs and merit based) works. This is the time to revisit the return on investment of college costs for a particular career path. Action Items: Each family has different situations to use as teachable moments – use them! Read books together. Send your children to a summer camp on money issues, stocks and personal finance or start a camp yourself. This is a period of time when young adults become independent. They begin to make important decisions, most of which have financial implications. Making the “wrong decision” on a significant matter could have financial ramifications for years to come. Whether young adults are still in college or beginning their career and family, establishing a budget and sticking to it is a critical financial planning tool. One of the most important parts of a budget is understanding what things cost. That is why it is important for parents to share with adolescents and young adults their finances. Parents should not only share their cost of living but what their own learning experiences were – both good and bad. During the early years of young adults, a detailed understanding of loan terms and how credit cards work becomes important. The young adult’s understanding of terms like interest rates, length of loan, prepayment penalties, minimum payments, and guarantors and cosigners are extremely important. A plan to repay loans should be developed. Young adults need to keep credit card and other high interest rate debt to a minimum and manage their credit scores. They need to: understand the terms of an apartment lease, create an emergency fund and ensure they have adequate car and apartment insurance. Significant responsibility comes with getting married and having a family. You are now responsible for others, which means you not only need to be a loving spouse and parent, but you need to be able to provide financial support. This includes the needs of daily living like food, clothing, healthcare and housing. It also includes other activities and experiences which helps each member of your family grow personally . Finally, as a parent and spouse, you must ensure these resources are available now and in the event of your untimely death. Action Items: Use checklists as memory joggers to assist with your financial planning. For example, Financial Health Checklist, How to Budget, Save , Spend and Invest will provide a place to begin. Determine if you need a financial planner, investment advisor or CPA. In many ways, this is the most hectic time of your life. You are raising children, holding down jobs, caring for your elderly parents and preparing for your own retirement. During this time of life, lack of funds can sometimes be a significant burden. Causing this burden are things such as: car and student loans, mortgage payments, children’s needs and wants, medical bills, high interest credit cards and saving for your children’s college and your retirement. Mature adults should call upon the financial literacy skills developed over their lifetime to help reduce the stress. This is the time of life when you should do your retirement and estate planning. You should have already determined if you need a trusted advisor. There are a variety of ways to find a financial planner you can trust. These are typically the highest earning years for you and your spouse. You should be looking carefully at your savings and investing plan. You should revisit your earlier learnings about investing. In order to optimize your investment experience, you must refocus on key investment concepts. Such concepts include: risk tolerance, asset allocation, asset location, after tax returns, low cost investing products and tax loss harvesting. You may or may not have saved or been a beneficiary of an employer provided benefit plan. In either case, you need to do a rough estimate using a variety of assumptions as to how much money will be available at retirement and how much you will need. Estate planning at this time of your life should include a will, a healthcare proxy and power of attorney. Much thought needs to go into the preparation of these documents. At this time you are making significant choices. You are deciding who should get all your assets, who will be responsible for your children and who will execute your wishes. You will also determine who will make your final health care decisions. This is a process where hiring your own attorney may be appropriate. Alternatively, you may decide to use an online service like NOLO. Action Items: If you need a financial planner, investment advisor or CPA to help with your retirement and estate planning find one. If you are capable of doing your own financial and estate planning do it. This is the time when you take stock of a lifetime of preparation for your retirement years. You look at all your assets including those tax deferred retirement vehicles (401(k), 403(b)), your individual savings, your social security and medicare benefits, and your home. A lifetime annuity may exist if you have an employer provided retirement plan; however, if not, you must convert your savings into annual income, an income you must manage to last a lifetime. In preparation for retirement you should revisit the composition of your will, health care proxy, and power of attorney. Many years may have passed since you originally signed and dated your will. There may be changes that need to be made to your will or estate plan. You may determine that a trust, along with your will, is appropriate for your estate plan. At this time, you should also prepare your letter of final instructions. At a time when you may be caring for your own parents, you must also consider options for your own long-term care. You may determine aging in place is for you. Alternatively, you might move to be closer to children, move to a state where the cost of living is cheaper, or move to a state where the tax situation is more friendly. Paying for long-term care may come from your savings or you may purchase long-term care insurance. Money plays a significant role in each stage of your life. You have become fairly financially literate. You are confident you are making the right choices and feel comfortable you know what you are doing. But what if you don’t? Are you losing it and don’t know it? Action Items: Complete your letter of final instructions. Review your financial decision making with a trusted family member, friend or advisor. Are you in the 29% of Americans who believe they are not financially literate? Have you overestimated your level of financial knowledge? If you fall into either one of these categories, start on your road to financial literacy today! Finance is boring and it is too complicated. You work too hard to earn your money. Be sure you use your money wisely! It’s too late for me. As the saying goes, it is never too late. Personal finance is a life long journey, not a sprint. I have plenty of time. Time is your friend when speaking about money matters. That is, the more time you have to plan, invest and make decisions, the better off your are. I’ll hire somebody to figure it out. If you are going to hire someone — do it now. Advisors need time just like you do. And by the way, you’ll be surprised how much knowledge you will put into the process. An advisor cannot do it alone! There is no good reason you are not financially literate. Take action — and remember the earlier you start, the better off you are, as financial literacy grows over a lifetime! Will you complete the Action Items which are appropriate for you? 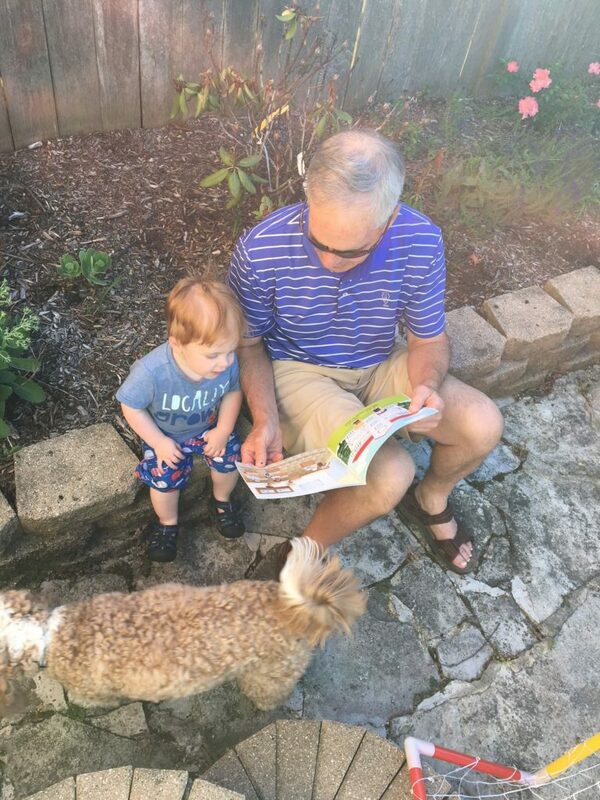 Are you going to provide your children or grandchildren the foundation to become financially literate? 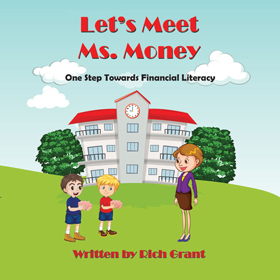 If so, you can take the first step towards financial literacy by reading Let’s Meet Ms. Money with them. Would a book or a course covering these topics be of interest to you and your family?